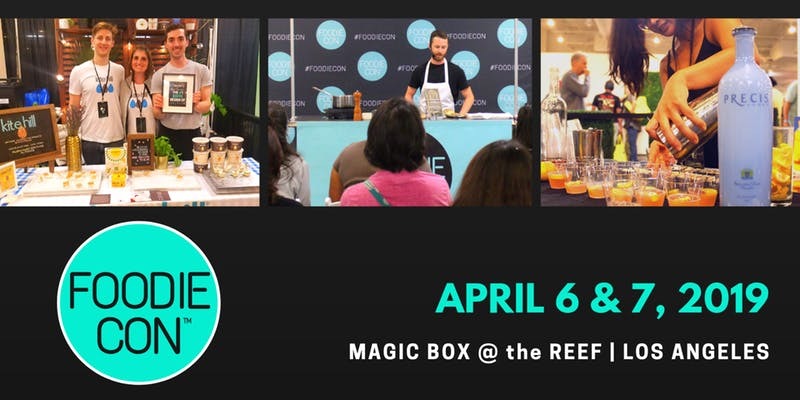 Foodie Con returns to the Magic Box at the Reef Saturday April 6 and Sunday April 7 for another year of food shopping, educational panels and delicious experiences with local food artisans. The event features shopping and book signings, a silent disco, cooking product demos, food court vendors from local and national restaurants and chefs, and beer, wine and spirit samplings. Check for discounted tickets before making your purchase via Goldstar. One-Day General Admission (no alcohol sampling): $15 includes admission on Saturday OR Sunday at 11 a.m. and access to the exhibit floor and Main Stage. One-Day General Admission (with alcohol sampling): $40 includes admission on Saturday OR Sunday at 11 a.m. and access to the exhibit floor and Main Stage. Weekend General Admission: $15 includes admission both days at 11 a.m. and access to the exhibit floor and Main Stage. One-Day VIP Admission: $60 includes early admission on Saturday OR Sunday at 10:30 a.m. and access to the exhibit floor, Main Stage and VIP lounge. Events hours are 11 a.m. to 5 p.m. on April 6, and 11 a.m. to 4 p.m. on April 7.